The CM said he would not be surprised if the Modi government had planned a separate event to mark the Guru’s birth anniversary also in an effort to score one-upmanship on this most significant occasion. A day after Prime Minister Narendra Modi targetted Amarinder Singh for “boycotting” an event on the centenary of the Jallianwalla Bagh massacre organised by the Centre, the Punjab Chief Minister on Monday accused the PM of serious discrimination against the Congress government in Punjab in matters of religious importance as part of his and his party’s divisive agenda. Upping the ante against Modi, who had on Sunday chosen to target Amarinder in a speech at Kathua by saying that he reveres “the (Gandhi) family” more than the nation, the CM asked why the PM had not pointed fingers at the Shiromani Akali Dal leaders, including the Badals for failing to attend the Central government function to commemorate the centenary of the Jallianwala Bagh massacre. 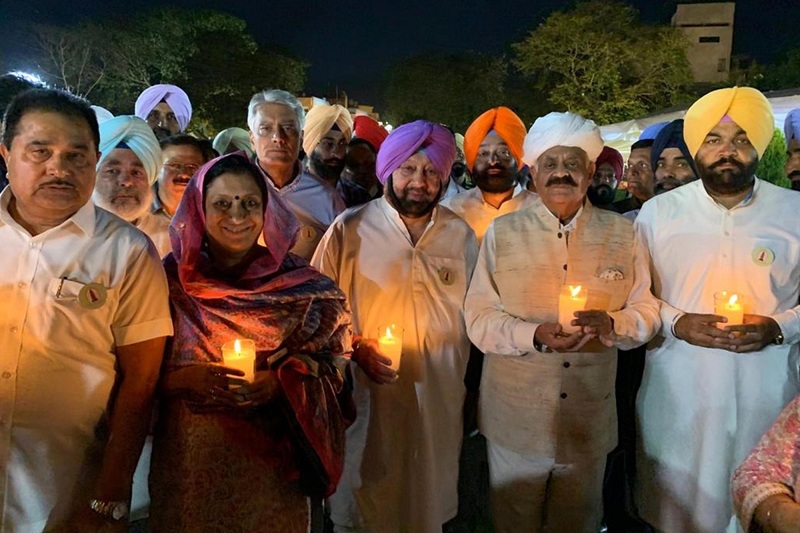 Neither Prakash Singh Badal nor Sukhbir Badal nor Harsimrat Kaur Badal, who happens to be a minister in Modi’s own Cabinet, deemed it fit to pay their homage to the martyrs at the historic Jallianwala Bagh, the CM pointed out. Yet Modi, who himself chose to keep away from this occasion of national importance, had criticised him even though he had been part of a series of events at the Jallianwala Bagh national memorial for over two days, the CM said lambasting the PM for his selective and “politically motivated attack”. Interpreting Modi’s actions and words as part of his government’s persistent discrimination against the Congress government in Punjab, Amarinder said by holding a parallel event to mark the Jallianwala Bagh centenary, instead of supporting the state government’s commemorative programmes, the PM had exposed his true intent. Amarinder said there was a clear pattern in Modi’s attack on him on the Jallianwala Bagh issue which the Central government had been brazenly and shamelessly trying to politicise to woo the Punjabi community and further his political ambitions. Punjab, with a strong Congress government at its helm, posed a serious challenge to Modi’s ambitions, making it a target of his unsavoury and petty assaults, said Amarinder. The PM’s continuous refusal to make funds available for the 550th birth anniversary of Guru Nanak Dev, scheduled to be celebrated in November 2019, was in line with his partisan approach, he added. Modi had been persistently trying to undermine the Congress-led governments in various states in a desperate bid to win the Lok Sabha elections where the Bharatiya Janata Party was clearly on slippery ground, he added. 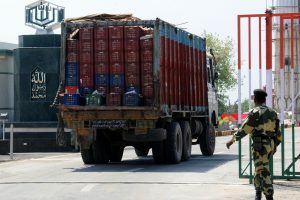 Describing Modi as a barefaced credit-seeker, Amarinder said the PM had exposed himself on this count again and again, with the Kartarpur Corridor foundation laying ceremony in November 2018 another case in the instance. The PM, said Amarinder, had no positive plank to face the voters in these elections and was thus resorting to such credit wars in the desperate hope that he would be able to sway the electorate by misleading them in this manner.